Welcome to Hotel Cristina Limone sul Garda. This property is 6 minutes walk from the beach. 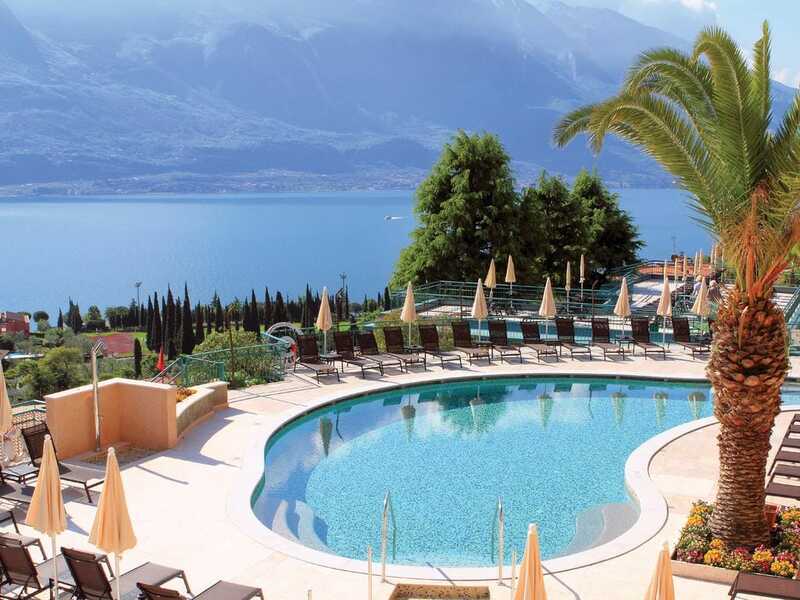 With its hilltop location in Limone sul Garda, Hotel Cristina offers panoramic lake views that can be admired from its swimming pools and sun terraces. It offers a shuttle to Limone centre. Composed of 5 different villas, the Cristina Hotel has extensive gardens with an outdoor chess game and lots of tables, chairs and sun loungers. Rooms are spacious and comfortable with satellite TV, a minibar and a private bathroom with toiletries. Most have a balcony and some have views of Lake Garda. Breakfast is a hot and cold buffet, while Cristina's buffet restaurant offers a good choice of Italian cuisine at dinner. An à la carte lunch is available. You will also find a poolside bar and an indoor bar with live piano music. Free parking is provided and the town centre is a 15-minute walk or short drive away. Limone sul Garda dock is 1 km away for boat trips across the lake to Malcesine and Riva del Garda. (Hotel Cristina Limone sul Garda hotels).